Washington Avenue is an eclectic hodgepodge of culture and intrigue, and there are no shortage of places to party. The problem with so many options is that it’s hard to tell which scene is right for you. Houston residents, be indecisive no more. Now, you don't have to go to each bar or restaurant to find out which one is right for you. With washingtonavehouston.com, your search stays on your computer. Washington Avenue is part of the original route from Houston to Brenham, the seat of Washington County. 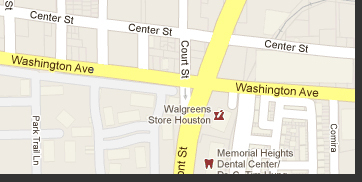 Now, the area along Washington Avenue is a major corridor of commerce as people travel between Downton Houston and the Houstong Heights. The area around the road gentrified and gained a yuppie population, resulting to the birth of a number of bars and restaurants. And because of its proximity to Downtown Houston and the Houston Heights, a community within Houston that forbids the sale of alcohol, Washington Avenue became a popular entertainment destination, especially during at night when people search for places to drink, party, have fun, or spend time with friends and loved ones. We at washingtonavehouston.com aims to provide you a quick look at the different bars and restaurants along Washington Avenue. Now you don't have to spend so much time deciding which bar is right for your group. 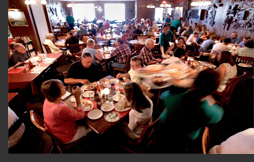 Which just a few clicks, you will discover the right place in Washington Avenue that meets your expectations through washingtonavehouston.com. And when you have decided which bar to check out, you might want to come to Washington Avenue in style on board one of the party buses of partybushouston.com. Bring your friends or loved ones for fun ride on board the buses of partybushouston.com and make your night in Washington Avenue a truly memorable and fun night.